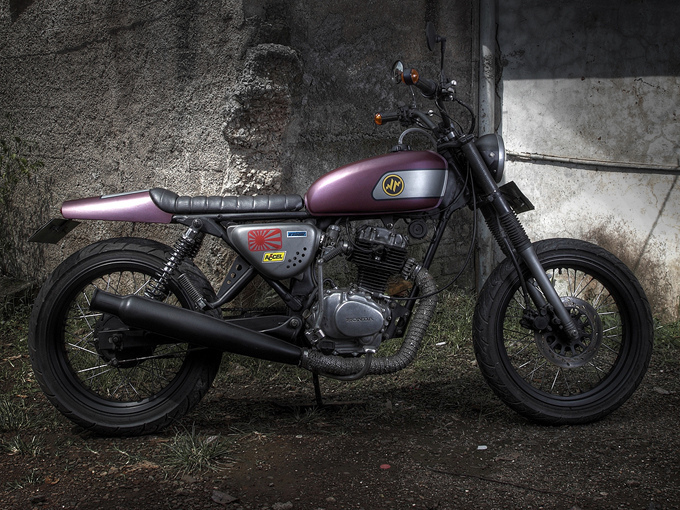 It may not be the latest Wrenchmonkee creation but our friends at Hajarbroxx Motorcycles in Indonesia have achieved a similar look at a fraction of the cost. 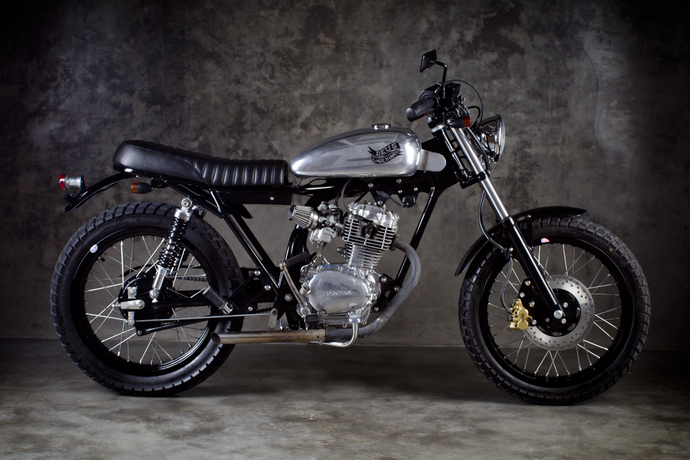 This low budget beauty all started with the purchase of a 1976 Honda CB100. The swing arm has been swapped with a Honda GL200, bigger tires and a custom Commando-style tailpiece have been added. The small displacement engine has been bored up with a much needed 200cc piston. All finished with a matte paint to achieve the raw look. You can check out the build process on the Hajarbroxx Facebook page.